Our Tuf-R Medium Gusseted Bags have the capacity to hold bulky and larger items due to its ability to expand from the sides to increase space. Our bags are commonly used to store food, as they are made from virgin resin material. If you searching for an option that works, you have found it. 5 X 3 X 15"
5 X 4 X 18"
We offer a high quality, durable, and a cost-effective option to other options. 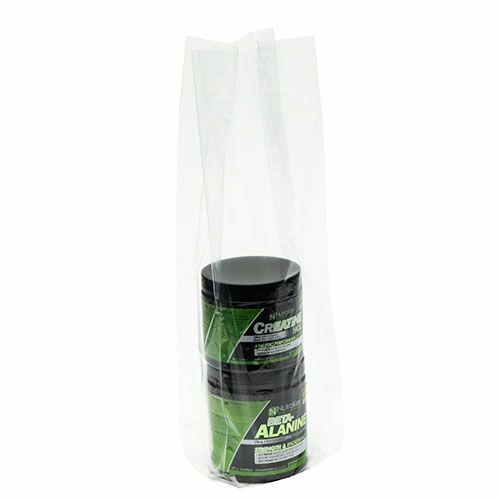 You can use our bags to store several different items in regardless of weight and size. Our bags will not tear or rip. They are the perfect alternative to other gusseted bags. You can store food and flat items in the bag with ease.